Whether you're planning a solo road trip, a weekend getaway, or a vacation with the kids, this book offers an abundance of captivating destinations. 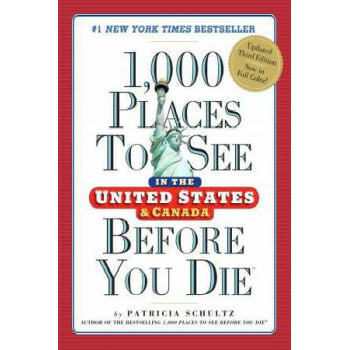 It features current descriptions and contact info for the 1,000 most essential, compelling, unforgettable places in the USA and Canada, including the remote Pribilof Islands of Alaska, home to thousands of seals, shorebirds, and reindeer; the monumental Devil's Tower in Wyoming; and Philadelphia's venerable flower show, the country's oldest and most prestigious. Includes the best times to visit and where to stay and dine. Specialty indexes at the back point you to family friendly destinations, the best adventure travel, top cultural institutions, great golf, nature's wonders, and much more.